In Cyprus, there are plenty of cozy, picturesque and remarkably beautiful cities on the coast. One of them is Paphos, a dream come true for those who love the Greek cuisine, seascapes and moderately active holiday. 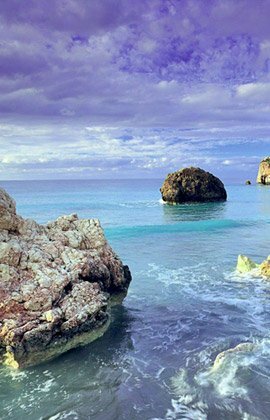 As a legend has it, goddess Aphrodite emerged from the sea exactly here, which is not surprising. Nowadays, one can certainly say that she had not chosen this place randomly, as Paphos is a true gem of Cyprus. Despite the “divine” aura, prices for property in Paphos are quite reasonable. It is the ideal place for those, who wish to live among luxury villas and small but cozy houses, withouts overpaying thousands and thousands of Euros. If you’re looking for a house abroad in a place with favorable weather and calm atmosphere, you are going to want to explore Paphos. 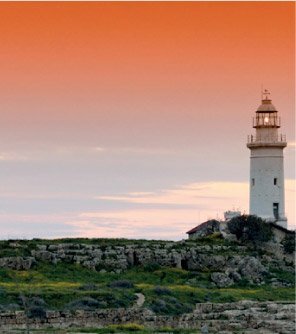 If you value a relaxing stay and a mild climate, then Paphos is the ideal place for you. Here, you can find picturesque landscapes, beautiful bays, pristine nature, well organized beaches and, of course, a huge variety of hotels and apartments for any taste – all this awaits the guests of the resort. All Paphos beaches are awarded with the EU ‘Blue Flag’; they have received this award for their excellent ecologically friendly environment and marvelous organization of the beach facilites. You will never feel bored in Paphos. Excellent conditions for active holidays have been created here. You can enjoy horse-riding, play tennis, or scuba-dive into the deep sea. On the coast there is always plenty of entertainment: discos, bars, night clubs and the best restaurants with excellent cuisines. Most of the establishments are open until dawn. Where can you take a walk? The tourists’ most favorable place for a stroll is the pedestrian area along the waterfront. This well designed promenade will allow you to enjoy the picturesque sea views and the port. 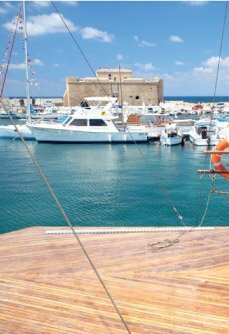 Here you can rest, visit any of the hundreds of cozy cafes and restaurants, observe the life of the port and admire the Paphos medieval castle. In Paphos, everyone can find something to enjoy. You will certainly want to return to this magical and unforgettable Mediterranean city. Stay forever by simply purchasing property on the island! 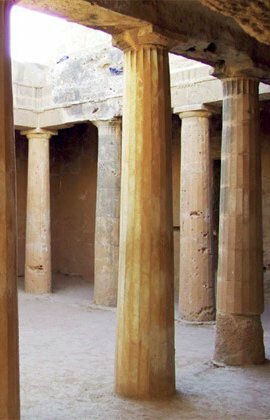 To find out more about the places of interest in Paphos, you can read our article: “The Best of Paphos”.